Voted one of the top 3 plastic surgeons in Ft. Myers, Florida, Dr. Robert Brueck has made a name for himself through his exceptional skill and 30 years of experience in cosmetic enhancement surgery. 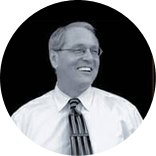 In 2006, Dr. Brueck received the honor of being listed in Gulfshore Life magazine's top doctors in southwest Florida. A large part of this Florida cosmetic surgeon's success has to do with the personalized attention and compassion he offers every patient. Regardless of the procedure you're interested in—liposuction, facial plastic surgery, tummy tuck, or breast augmentation; Ft. Myers plastic surgery specialist, Dr. Robert Brueck will provide you with viable solutions for treating your unique case, while helping you realize your true beauty. Mini Facelifts and Brow lifts in Ft. Myers can provide the wrinkle relief you've been looking for with minimal risk. During your consultation at his Ft. Myers location, you'll meet one-on-one with this area expert. You'll immediately feel comfortable with his friendly and knowledgeable office team, and be given as much time as you need to ask questions about the procedures that interest you. Feel free to inquire about the office's payment options as well! This Ft. Myers plastic surgeon provides services to Cape Coral, Estero, Bonita Springs, and Naples. So, if you're looking for a facelift in Ft. Myers or a Breast Augmentation in Naples, Dr. Brueck is the qualified plastic surgeon for you! Dr. Brueck was Board Certified in Plastic Surgery in 1981, and is also certified in General Surgery by the American Board of Surgery. He is also a Diplomat of the National Board of Medical Examiners. Confidence in yourself, and your surgeon. Dr. Robert J. Brueck, Associates in Cosmetic Surgery - Fort Myers - FL offers Consultations at a nominal fee. Dr. Brueck's office offers patient financing through Care Credit. A member of his office team would be glad to answer any questions you have about financing your cosmetic surgery procedure. Due to the cosmetic nature of plastic surgery, Dr. Brueck's office does not accept payment by insurance. Dr. Brueck has been voted one of the top 3 plastic surgeons in the Ft. Meyers area. In 2006, Dr. Brueck's superior expertise and skill in the field of cosmetic surgery led to his inclusion in Gulfshore Life magazine's list of Top Doctors in Southwest Florida. During his leisure time, Dr. Brueck enjoys golfing, reading and traveling. Dr. Brueck is affiliated with several local hospitals and also performs surgeries out of the AAAASF certified Southwest Florida Institute Ambulatory Surgical Center. This Ft. Meyers plastic surgeon is actively licensed in the states of Florida and Illinois.